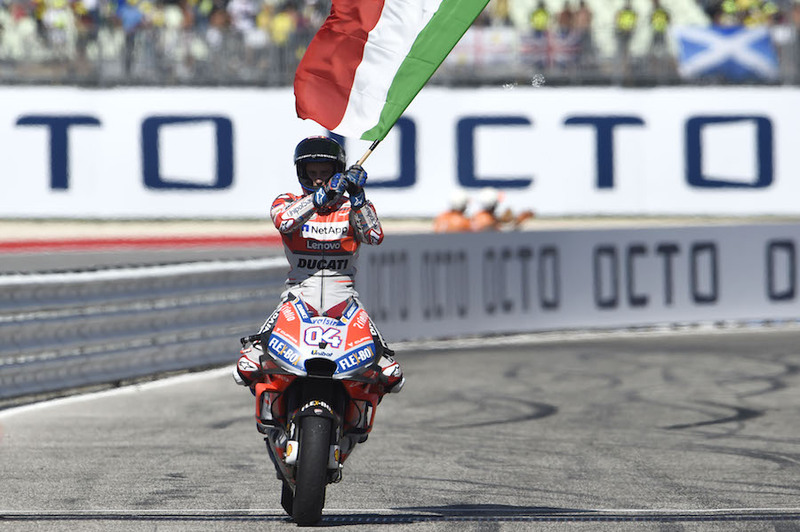 Ducati made it a double-Italian win in their home races at the San Marino and Rimini Riviera GP. 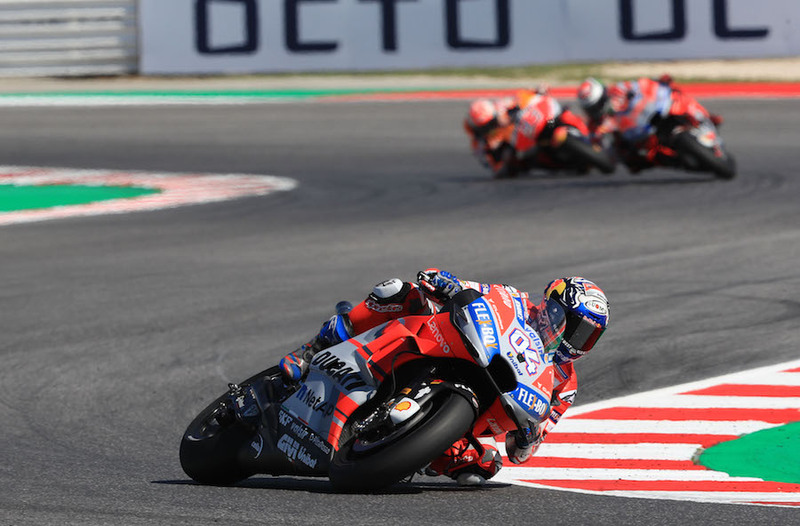 But this time it was Andrea Dovizioso who gave the master-class; while Mugello winner Jorge Lorenzo gave away a Ducati one-two, crashing out on the second-last of 27 laps of the 4.226-km Misano World Circuit just inland from the Adriatic beach resorts. Lorenzo started from pole, and led the first five laps. 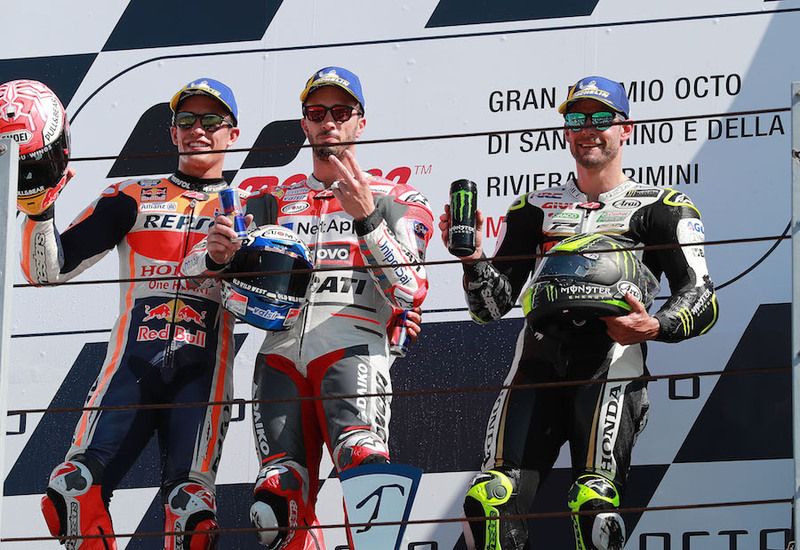 But Dovi blazed straight into second place from the second row, and once he took over, he was never headed, stretching his lead to better than two seconds soon after half-distance. “It was a really hard race – I knew I had to stop Jorge going away at the beginning. But I did everything perfectly today,” he said. His third win of the year took him to second overall, overtaking long-time runner up Rossi. Lorenzo was left to battle with championship leader Marc Marquez (Repsol Honda), with his fellow-Spaniard getting ahead from laps 14 to 18. But Lorenzo was narrowly ahead, and even slightly closing on the leader, when he lost the front and slid off on the 26th lap. 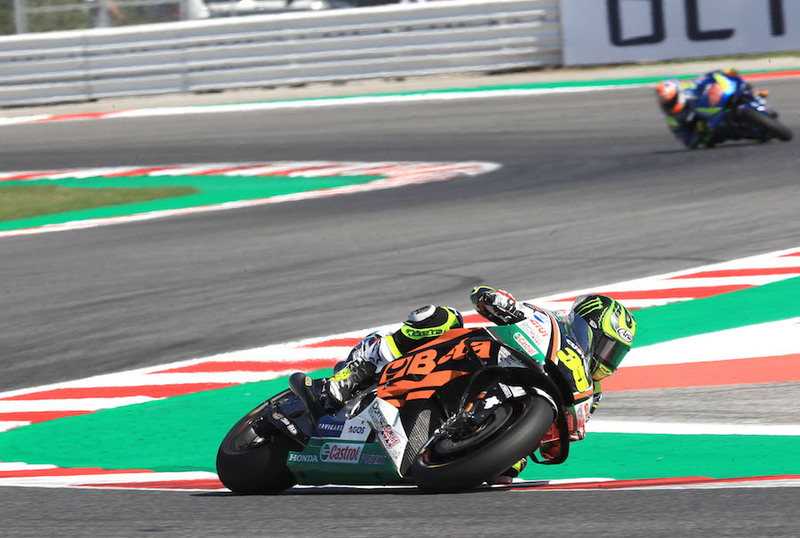 This gave a second podium of the season to Cal Crutchlow (LCR Castrol Honda), just over four seconds behind, but comfortably clear of Alex Rins (Ecstar Suzuki). It was another disappointing day for Yamaha, after hopes that their factory Movistar M-1s had turned a corner after successful tests. Maverick Vinales started from the front row, but couldn’t make any impression on Rins, who had come through from the fourth row of the grid. With Dani Pedrosa (Repsol Honda) also coming through for sixth, seventh was the best second Yamaha rider Valentino Rossi could manage at his home circuit. Andrea Iannone (Suzuki). Alvaro Bautista (Ducati) and Johann Zarco (Yamaha) completed the top ten. 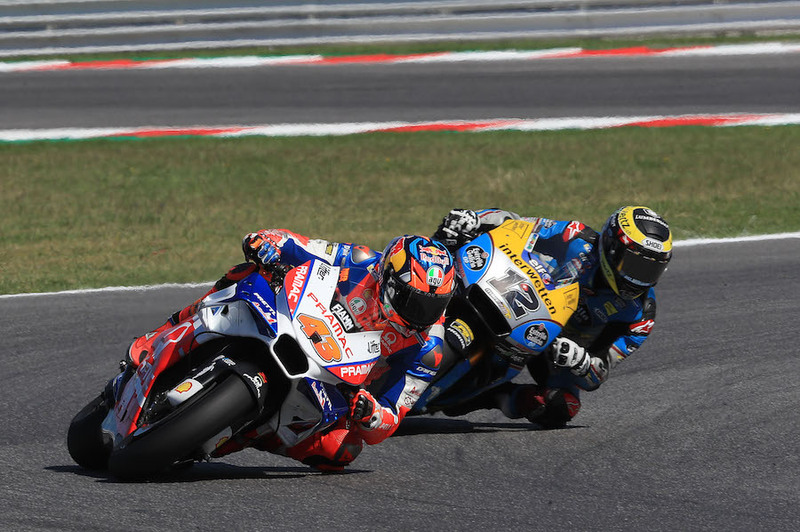 Jack Miller (Ducati) had started from the front row and finished the first lap third, but slipped off after losing the place to Marquez on the third lap, remounting to finish 17th, one place behind the remounted Lorenzo. Second was good enough for Marquez to extend his points lead, now 67 points with six races remaining, as he moves steadily toward to a fifth title in six years. He has 221 points to Dovizioso on 154, with Rossi on 151, then Lorenzo 130 and Vinales 124.